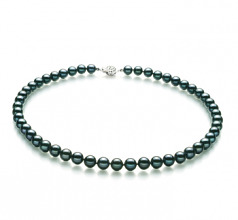 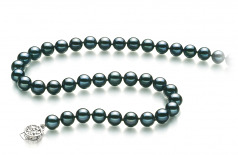 Beauty and Grace follow the Black Japanese Akoya Pearl Necklace wherever it goes. 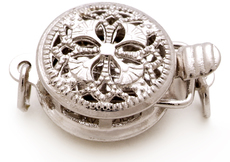 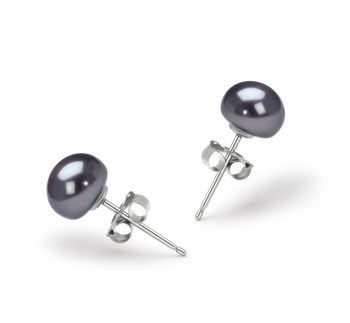 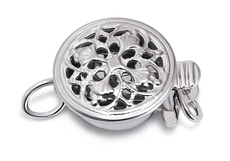 An excellent choice in size the 7-8mm, it is on the larger size and far more noticeable with the (AAA) shape and Luster. 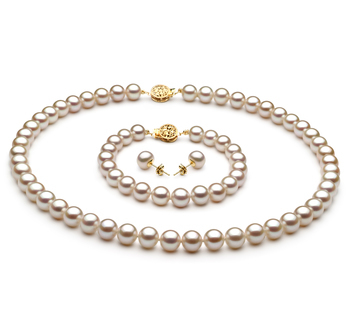 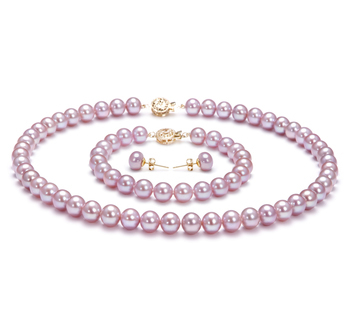 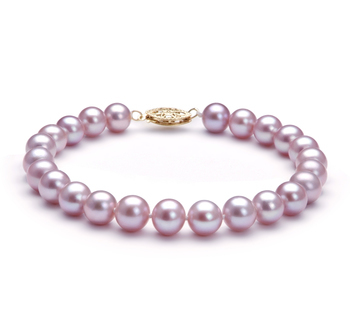 A nearly perfect round dyed pearl that glistens on your neckline, this necklace leaves its mark on the pearl industry with its long held history. 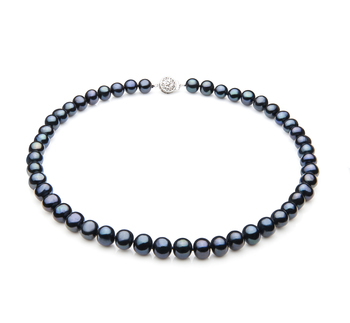 The overall (AA) body and grade maintain the Japanese Akoya Black Pearl necklace in the higher range of value, beauty and elegance. 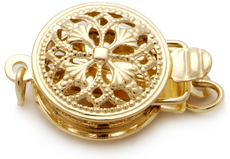 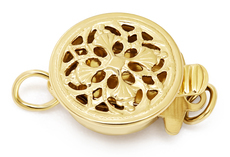 Easily paired with mild colors, it can also go fantastic with your little black dress or that gorgeous red mini-dress you have been waiting to wear.